aircel 3g launched today in warangal (ap) it's 3.6 mbps ..........getting good speeds......i recharged with rc 47 ( this topup is available in ap only ) got 500mb for 7 days , actually that top up is intended for 2g customers only , but it has been activated for my aircel 3g......lucky enough...... i am planning to recharge with 249 ( 6gb for 60 days) this is also intended for 2 g customers only but i have not tried yet....to check internet balance *126*4# it's working in ap . Getting 3G speeds in 2G recharge usually teaser to get people in ! Are you using Aircel in phone or data card ? My phone is android not sold in India. So I can not sms and get settings. 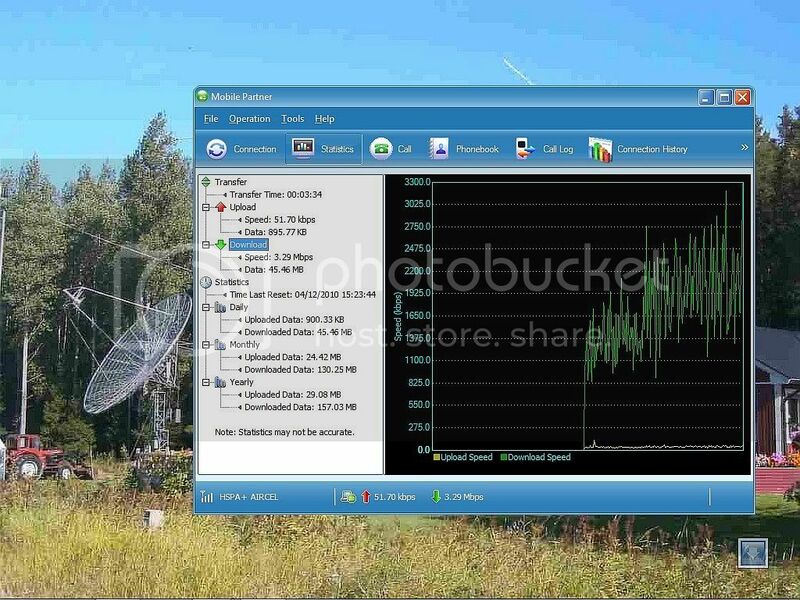 what apn settings did you use? Every one reporting between 1 to 1.7 Mbps except ramli who got around 3 mbps. 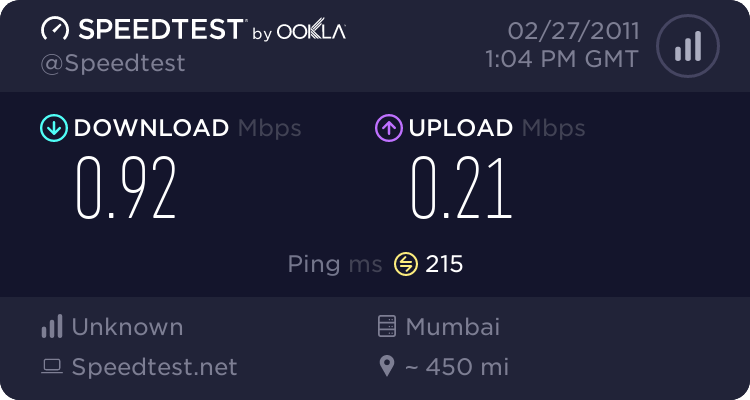 BSNL 3g- you were reporting speeds above 5 Mbps. what speeds you are getting now ? 4) yes i do agree it doesn't last long, i have recharged with 249 ( 6gb for 60 days) which is of 2g plan but it working as if now for me. 5) in bsnl i was in old unlimited plan, bsnl capped speeds upto 1mbps, at present i am not using bsnl 3g. I got above 5mbps in nov,dec, jan, mid feb but now not getting more than 1 mbps, i am getting speeds above 5 mbps on another bsnl 3g sim where no unlimited or data plan is activated, I am using vodafone 2g and aircel 3g at present. yes i do agree it doesn't last long, i have recharged with 249 ( 6gb for 60 days) which is of 2g plan but it working as if now for me. how much speed you are getting in EDGE mode? I have used aircel3G in guwahati,assam & getting good speeds.Speed ranges from 250kBps to 450kBps. Max.=500kBps. My speed test video can seen in you tube named as "aircel 3g speed in guwahati assam"
can you tell me in which 3g data plan your are in ? Have u seen the video? then plz comment & rate. buddy did u check up with the 1275 unlimited plan ?? yeah even i heard it that way. that they would give to the data card customers. yeah i am not sure about the speed capacity. by the way. wat is FUP ? i dont think so any fair usage policy is der in this 1275 UL. yes , how is browsing ? 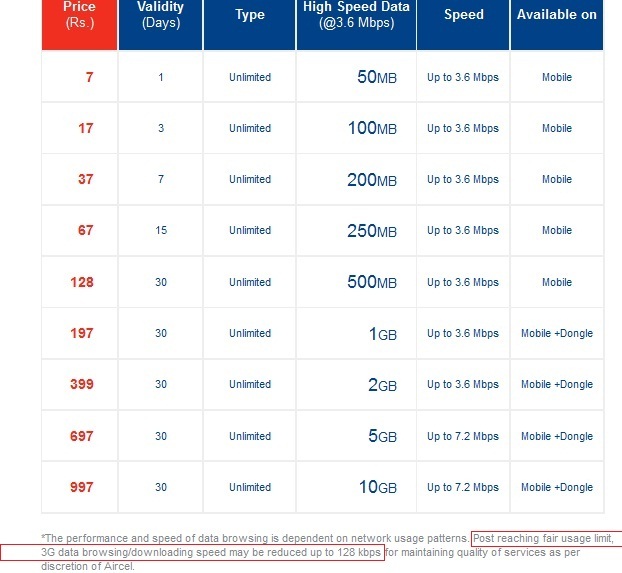 I dont think Aircel data card has been launched any where and Rs 1275 u/l plan does not exist . Even in 7.2 Mbps so called High speed plan, I doubt Aircel gives more than 50 % ( 3.6 mbps)! @ Dheeraj-confirm whether your complaint resolved. In normal (3.6 mbps) ,they give max 1.2 to 2 mbps I think. I have only old 'Un Limited @ whatever speed' BSNL 3G sim capped @1024 kbps. BSNL alone doing the heavy duty in Voda data card. Check out Airtel 3G and Idea 3G as well with a small 3G pack for speed check at secunderabad home. oh my god things changed , now my downlink at 7.2 mbps in 975 plan. You can try 2G>3G trick but the only problem we have is NET DOESN'T CONNECT EVERYTIME. you have to use only when it connects. i have downloaded around 3 GB at high speeds but prob is it doesn't connect everytime and where as my original 3G sim 3G plan 606 connects every time. Last edited by Warrior; 15th April 2011 at 05:18 PM. How do u get that speed???? is it 2g to 3g..means computer via 3g mobile trick??? is there any trick working for 3g Devices??? I have got speed of 3.98mb for download and 1.98 for upload. i can send the url for this on request. 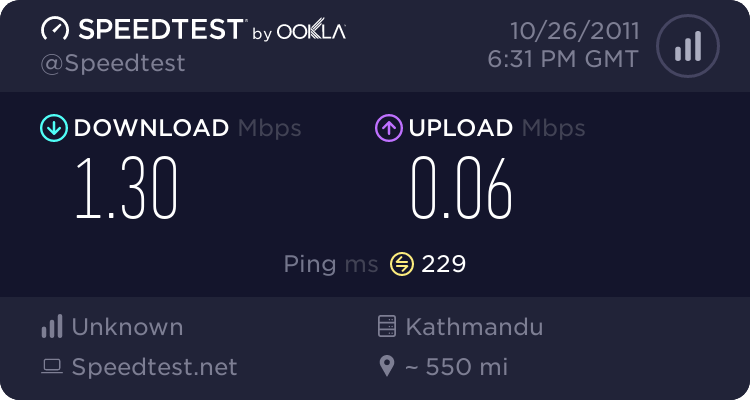 this is the speed i got consistently since last two days. I purchased a new dongle of aircel e1750 at chenoy trade center, Secunderabad. Introductory o 3GB offer. Recharge amounts for AP circle. Last edited by Warrior; 28th April 2012 at 03:12 PM. Who Should I Trust Aircel Gprs Or SpeedTest Result? Varied results for speedtest + will port forwarding help?